The Apple Watch has come a long way in just 18 months. On the software side, watchOS 3 has brought a number of improvements including a much needed boost of speed. 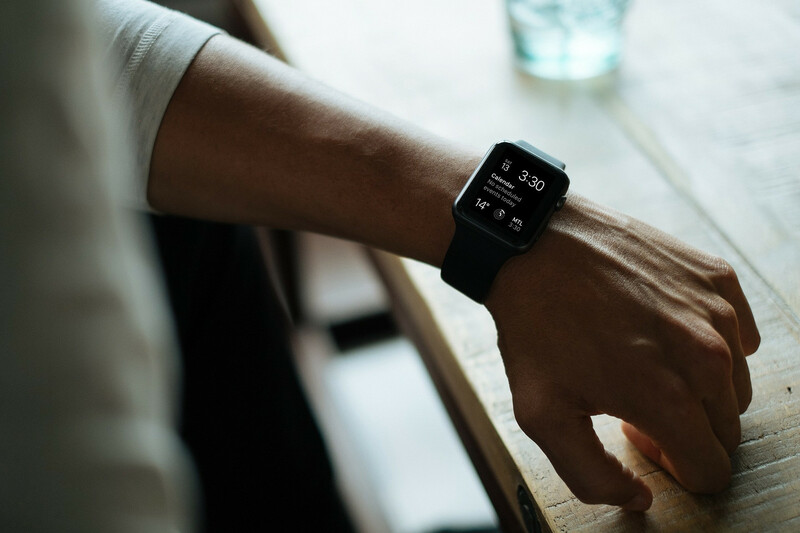 And the Series 2 Watch hit the market in September and features a brighter screen, waterproofing in up to 50 meters of water, and built-in GPS. We’re continuing our gift guide with seven great accessories for any fan of the wearable device. 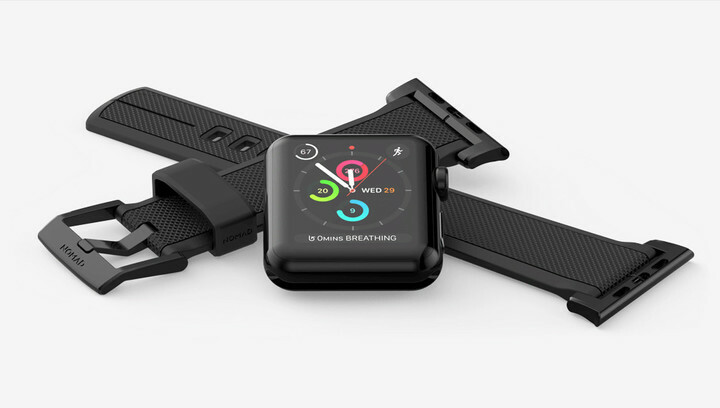 One of our favorite Apple Watch accessory makers has recently introduced an interesting new strap to its lineup. Nomad’s Vulcanized LSR Silicone Strap is made with high-quality and hypoallergenic silicone and completely waterproof. I’ve been using the band with my Series 2 Apple Watch for a few weeks, and have definitely enjoyed it. It’s much more comfortable than Apple’s own Sport Band while providing a more classical look. It’s only available for the 42mm Apple Watch. A version with either black or silver lugs/buckle costs can be ordered from Nomad’s site now. While it usually retails for $39.95, you can grab it for $27.95 until Cyber Monday. That’s a 30 percent savings and makes the strap an even more spectacular choice. 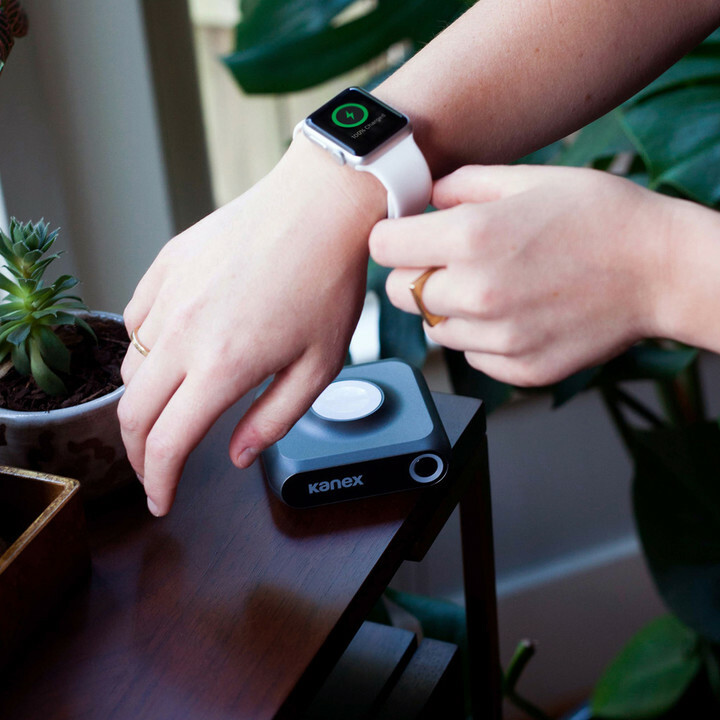 Kanex’s GoPower Watch is a small and portable watch charger. The portable battery sports a 4,000mAH cell and can charge an 38mm or 42mm Apple Watch up to six times. Weighing in at almost 5 ounces, it’s about the size of a deck of cards but a nice square shape. Using the battery is easy. After attaching a micro-USB cable, four LEDs on the front will let you know when its completely charged. When on the go, just hit the small button and you can see how much juice is still left in the battery. Each LED equals a 25 percent charge. Just like with the official cable, place the back of your watch near the front of the magnetic connector, and the charging cycle begins. The disc is slightly raised off the main body of the battery, making it very easy to find – even in darker rooms. As a nice touch, an extra USB port can also power up another device like an iPhone. It can be purchased now for $74.62. The latest version of JayBird’s popular series of wireless in-ear headphones are perfect for rocking out to music stored on your Apple Watch. The X3 features an even smaller design compared to the previous version and can even be comfortably worn under a helmet. 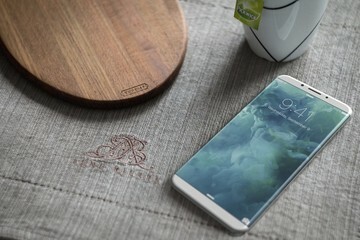 The built-in battery can provide up to eight hours of music playback on a single charge. Using the companion MySound app, music fans can customize sounds settings to their exact preferences. That profile is then saved to the headphones and will be used to any device you connect to. 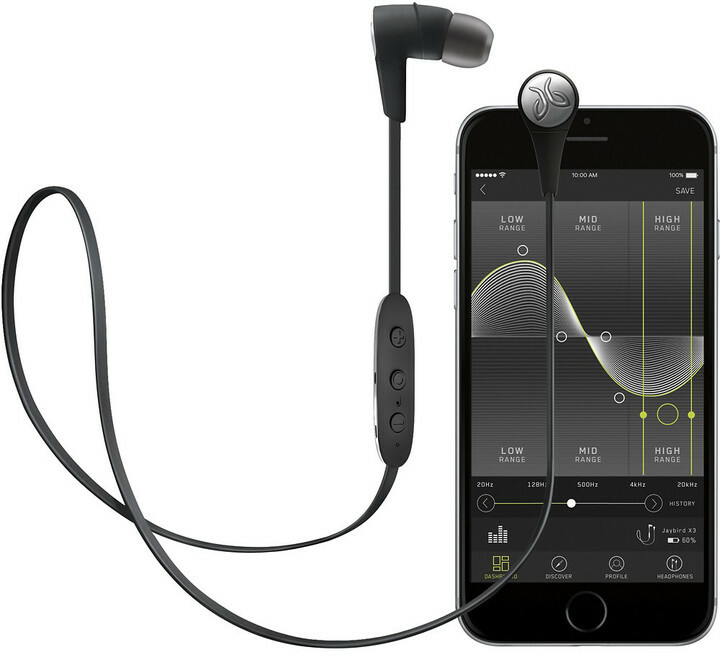 Along with being sweatproof, Jaybird offers a number of ways to customize the fit including three different sizes and foam a silicone earbud tips and the ability to wear them under- or over-the-ear. 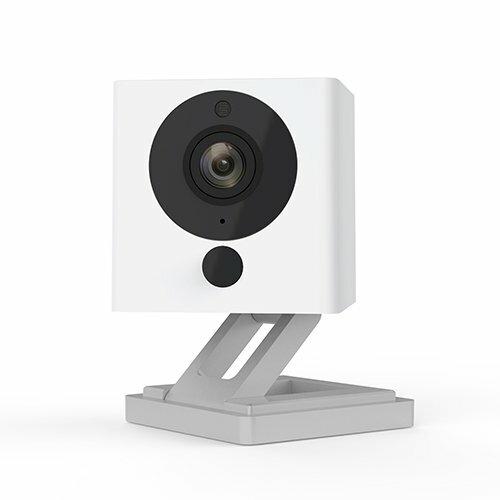 You can snag a white or black version now for $99.99. 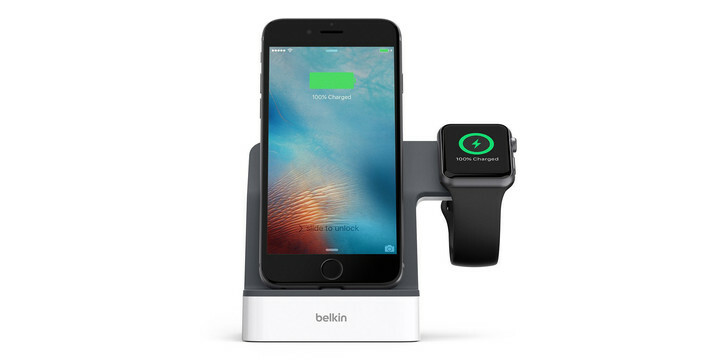 Designed to charge both your Apple Watch and iPhone at the same time, Belkin’s PowerHouse boasts built-in chargers so there’s no need to provide your own cables. On the iPhone side, a special dial raises and lowers the Lightning connector to fit most available cases on the market. 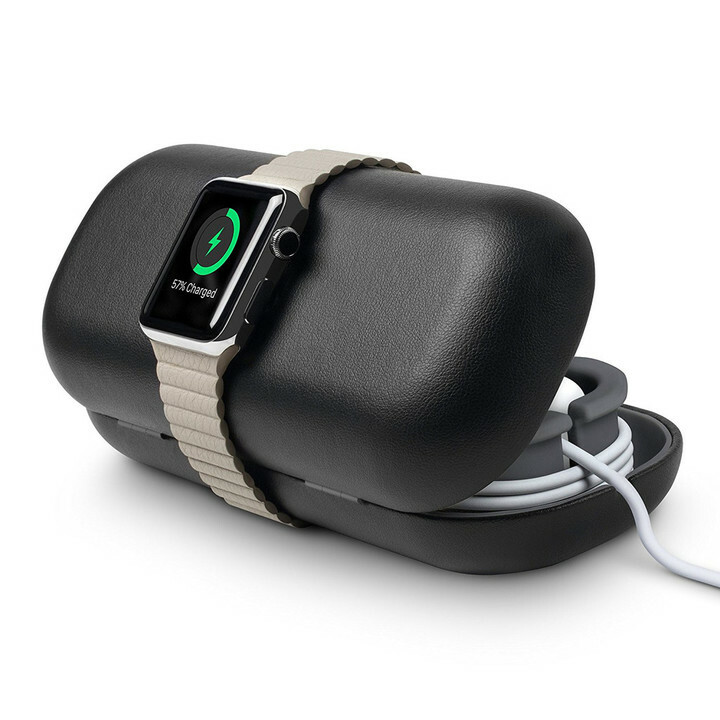 The compact charger is also designed to fit any Apple Watch model. 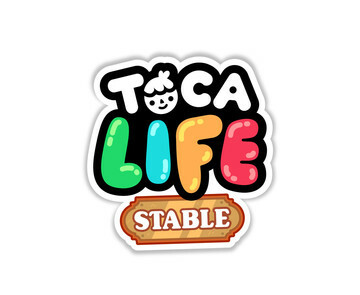 It can be purchased now for $99.99. It looks exactly like Apple’s version and is very comfortable to wear. With the magnetic closure system, I can quickly and easily adjust it to get a perfect fit. X-Doria says the band can fit wrists from 130-180mm. Made for travel, Twelve South’s TimePorter is reminiscent of an eyeglass case, but with a small hole in middle. You can select from a version with a black or white leather-like covering. Getting everything set up just takes a few minutes. After opening the case, place the Apple Watch charging disc in the center hole and wrap the rest of the cable around the built-in cord management feature. It can fit both a 1-meter and 2-meter cord. The rest of the interior is spacious and can fit the watch’s charging adapter and a few additional watch bands. When you’re ready to charge the watch, the cable’s USB can be unwound and slipped through the small notch on either side of the case. The TimePorter retails for $49.99 and is available in black or white. 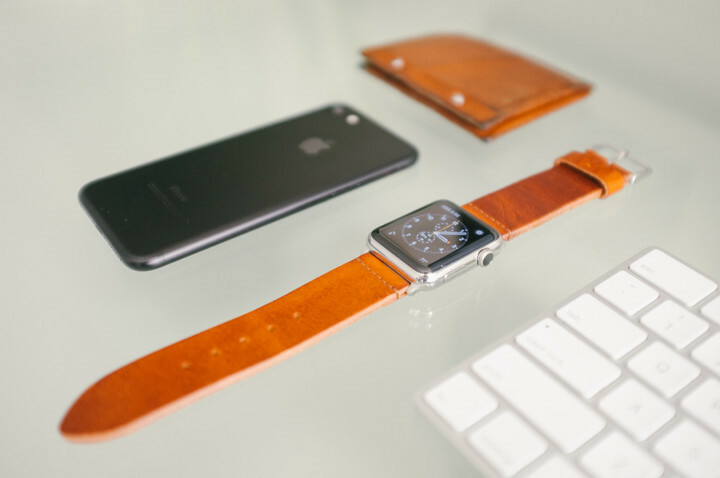 An inexpensive way to add some class to your Apple Watch, Clockwork Synergy’s Leather Band is made for the 42mm watch. 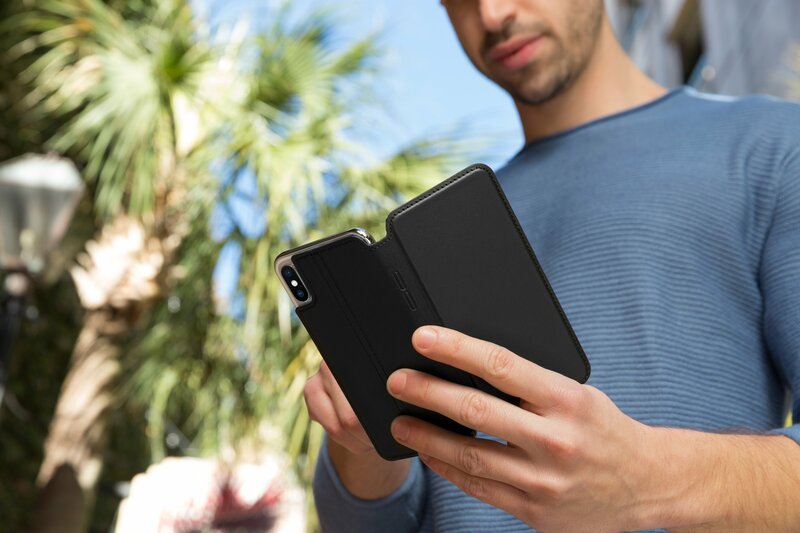 Our own Abdel Ibrahim recently tried the band out and said the connectors fit perfectly and that the leather is soft and very thick. You can select from three different shades of brown. 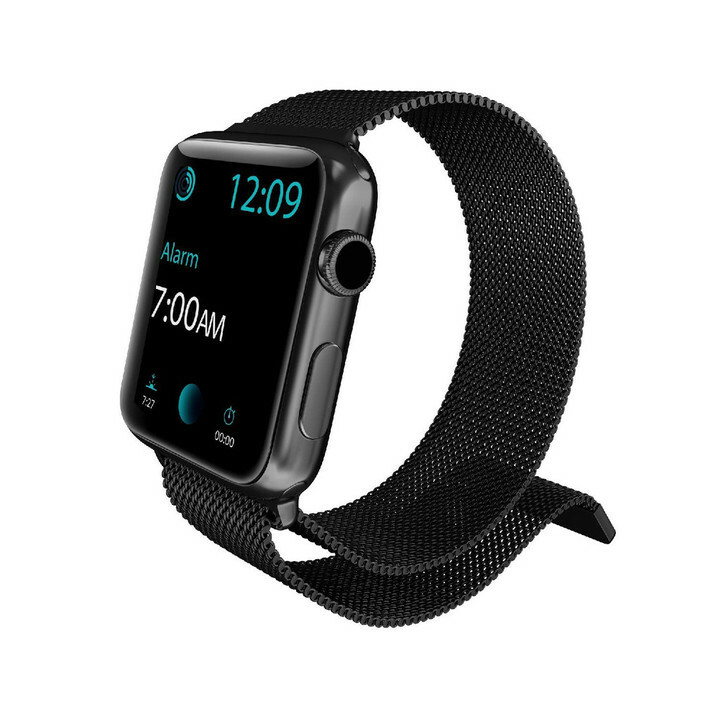 Each band is $22.99 and sports a stainless steel silver strap and lugs.